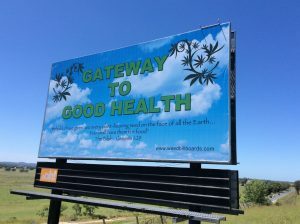 With cannabis legalised in some parts of Australia for medicinal use, businesses are positioning themselves for what is tipped to be a ‘green wave’ of opportunity. Last year, Victoria released Australia’s first-ever medicinal cannabis industry development plan, mapping out a framework for government support of the fast-growing industry. The strategy aims to have the state supply half of Australia’s pot by 2028, along with the creation of 500 local jobs. Australia’s fastest growing purveyors of all things cannabis have just announced that they will be pledging 50% of profits from the first release of their new Jilungin Dreaming Hemp Gin to an Indigenous land and fire management project in the Kimberley region. An Invercargill toddler with a condition likely to cut her life short at the age of 4 is finding some comfort thanks to medicinal cannabis. To shrink Oregon’s massive marijuana surplus, Adam Smith, the founder of the Craft Cannabis Alliance, is working with state lawmakers to pass a law allowing licensed cannabis companies to ship to other states with legal MJ programs by 2021. Cory Booker is making his efforts at marijuana legalization part of his freshly begun presidential campaign, the New Jersey senator said in a radio interview Friday as he made his White House bid official. Speaking to the Tom Joyner Morning Show, Booker included his marijuana policy in a pitch for what he called “radical empathy” in the U.S. In January, Washington Gov. Jay Inslee announced the pardons as part of his new Marijuana Justice Initiative. “We should not be punishing people for something that is no longer an illegal behavior in the state of Washington,” he said. Boston officials this week will consider sweeping changes to how the city licenses marijuana businesses, to wrest unilateral control of the process from the mayor’s office and give strong preference to companies whose owners were affected by the war on drugs. Janey’s proposed ordinance would effectively impose a two-year ban on larger marijuana companies backed by outside money. Despite 11 separate test results confirming the statements of truck drivers transporting the hemp, two still remain in jail and officials in Oklahoma are now demanding the entire contents of the truck — more than 17,000 pounds of hemp — be tested for THC content. Save for the comparatively brave Bank of Montreal—which has come to oversee the accounts of more than a dozen cannabis companies since 2015, and has subsequently lent Canopy a helping hand—most of Canada’s big five financiers have remained decidedly quiet about co-operation in what would seem to be enticing ventures. With the cannabis industry exploding, why have most of Canada’s big banks been so slow to ante up? Wheatley estimates that a regulated cannabis market could generate $580 million dollars in taxes for Pennsylvania annually. His bill proposes to use half of that money to reduce student loan debt, another 40 percent on funding affordable housing while investing the rest in after-school care programs. A judge has struck down Florida’s medical marijuana dispensary cap, a victory for existing operators seeking to expand locations in the fast-growing market. Second Circuit Court Judge Karen Gievers ruled Friday that the cap is unconstitutional. Gievers wrote that the dispensary cap, instituted by the Florida Legislature in 2017, “erects barriers” that increase costs and delay access to products. While many nations are moving toward an acceptance of legal cannabis, Indonesia continues to enforce some of the deadliest cannabis laws in the world. The Southeast Asian archipelago is home to nearly 261 million people, and despite a harsh no-tolerance drug policy, cannabis remains the most widely used illegal substance in the country. German officials report high interest in domestic cultivation, with 79 applications submitted for the 13 contracts to be granted. Ulyana Suprun, Acting Health Minister of Ukraine urges for the legalization of medical cannabis in Ukraine. The official claims that access to certain medications based on this substance would help implement their right for medical assistance. Malta is a small country with big ambitions to reinvent itself as the medical cannabis capital of Europe. Speaking at the Medical Cannabis World Forum, Parliamentary Secretary Dr Deo Debattista explained how it will get there. In the shadow of Davos, while the world’s top movers and shakers were moving and shaking, the president of the Pharmacy Association in Zurich, Valeria Dora, said last week that cannabis use amongst Swiss residents is up and that legalization is the only sensible option. The Senate committee on health and demography, chaired by Sen. JV Ejercito, aims to tackle a House bill that seeks to legalize and regulate the use of medical cannabis (marijuana) and expand research into marijuana’s medicinal properties. American federal agencies can fire employees for failing a drug test, a federal court said in a recent precedent-setting ruling, even if the employees ingested the illicit drug by accident. Researchers have long known that VOCs emitted by plants can contribute to smog. VOCs can mix with nitrogen oxides—produced by cars and industrial sources—in sunlight-driven reactions that produce ground-level ozone, a pollutant. Vizuete’s study confirmed that pot plants are a rich source of potent VOCs called terpenes, which give cannabis its dank smell. And it suggested the tens of thousands of plants in Denver’s indoor farms—which are mostly found along two busy highways—could, under a worst case scenario, double the city’s volume of smog-forming VOCs. Researchers investigating the effect of cannabis smoking on men’s testicular function have made the unexpected discovery that it is linked to higher sperm counts and higher testosterone levels among moderate users compared to men who never smoked it. The study is published in Human Reproduction, one of the world’s leading reproductive medicine journals. Researchers record sharp improvement in measures such as quality of life, ability to dress and shower independently after 6 months of cannabis oil treatment. On Thursday, Canadian cannabis company, Aleafia Health Inc. released what it believes is the first study reporting reduced benzodiazepine use among patients initiated and monitored on medical cannabis. An increasing number of studies are addressing gaps in the understanding and use of these biologic agents. Although their efficacy in specific dermatologic applications requires further research, dermatologists are well positioned to be pioneers in using cannabinoids to understand and treat inflammatory and autoimmune conditions. A new study from the Health Affairs journal found that the number one reason people use medical marijuana is to treat chronic pain. The American Society for the Prevention of Cruelty to Animals (ASPCA) poison control center operates a 24-hour hotline. Operators normally get calls about dogs that have eaten chocolate, or cats that have chewed at a potted plant. But they are increasingly dealing with stoned pets. In 2008, they received 208 calls about pets consuming marijuana. In 2018, they received more than 1,800. Mr Morrison announced his plan to ease the restrictions on kava imports during his recent trip to Vanuatu and other Pacific nations.